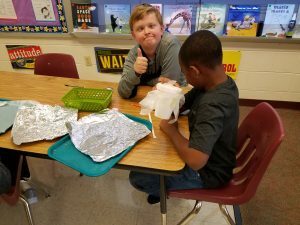 QUEST 4 Clean Water Design Challenge! Fourth grade students were asked to design a water filter using ordinary materials. They learned about the importance of water and its role in our everyday lives. Engineering 101. Next PostNext HRSD Session – Clean Water! Need a Daily BUZZ word from Word Central? Check out the BUZZ of the day for today!